updates about new specials & products. Australian Premium Kitchens on Sale now! Save up to 30% by buying online. Design your new kitchen today OR ask us about our 3D Kitchen Design service! This map reflect delivery zone, calculated by our automation tool during checkout. The map is an indication only. 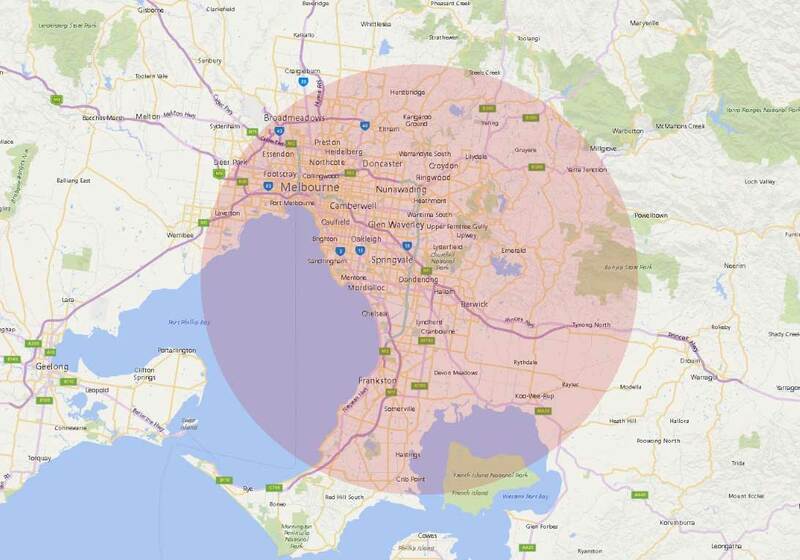 If you are located outside of the highlighted area please contact us on 03 8765 2381 or by email. Copyright © 2019. Kitchen Mart ® Kitchen Cabinets Melbourne | Find your Local Kitchen Manufacturer in Australia.